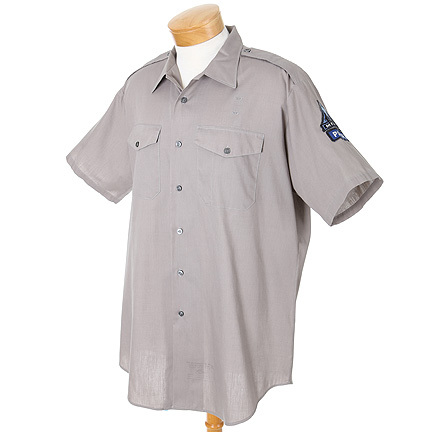 This shirt was worn by a “Metropolis Police Officer” played by a background actor from the ABC television series, “Lois & Clark: The New Adventures of Superman” (1993-1997). 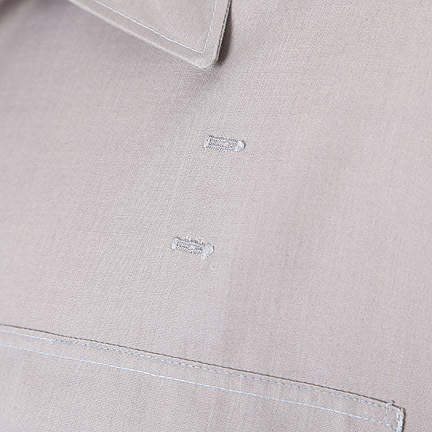 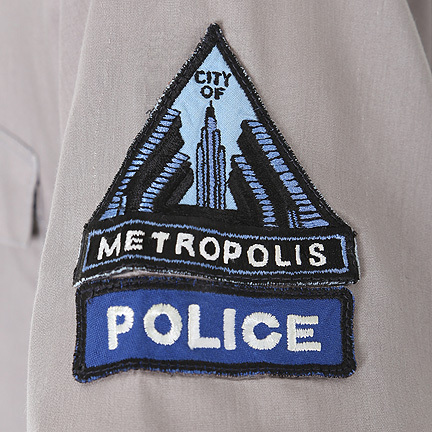 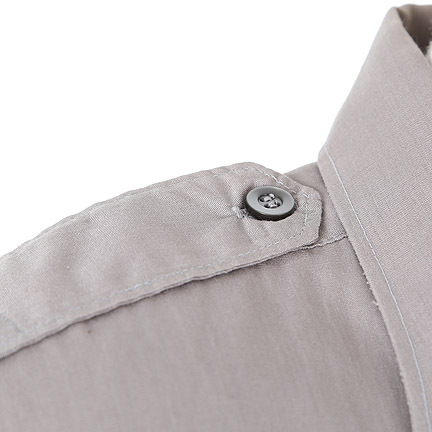 This grey polyester/cotton blend shirt features a “CITY OF METROPOLIS” patch and a rectangular blue and white “POLICE” patch sewn on the left shoulder. 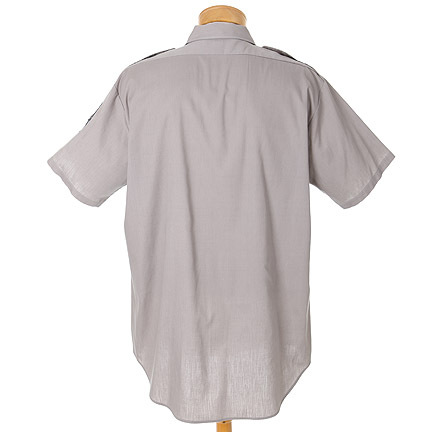 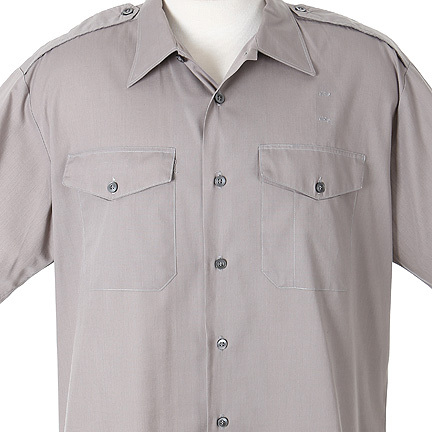 Background characters wore these Police shirts in numerous episodes throughout the series. 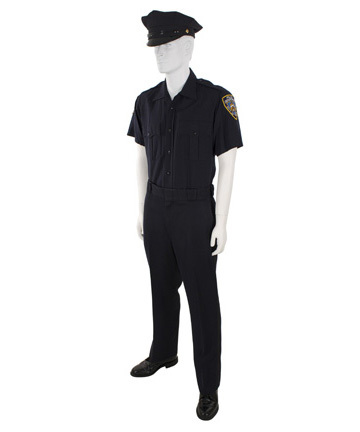 Initially worn in “The Man of Steel Bars” (Season 1 Episode 10, which aired November 21, 1993) when officers process Superman at the Police station after he’s arrested for supposedly causing the Metropolis heat wave. 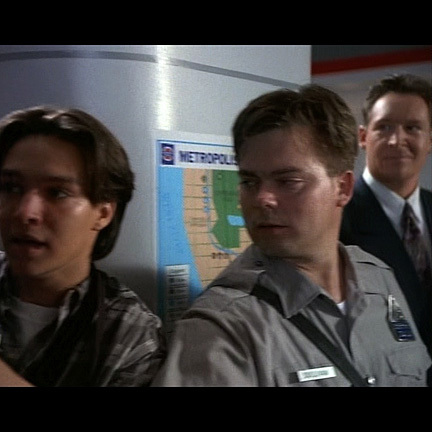 The shirt is also featured in “Wall of Sound” (Season 2 Episode 2 which aired September 25, 1994) and in, “The Source” (Season 2 Episode 3 which aired October 3, 1994) when police officers and the press await a speeding subway train as Superman rushes to stop it. 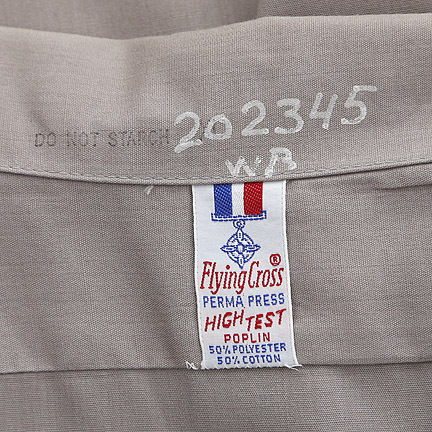 The shirt is in good screen worn condition and is accompanied by a certificate of authenticity from the costume house. 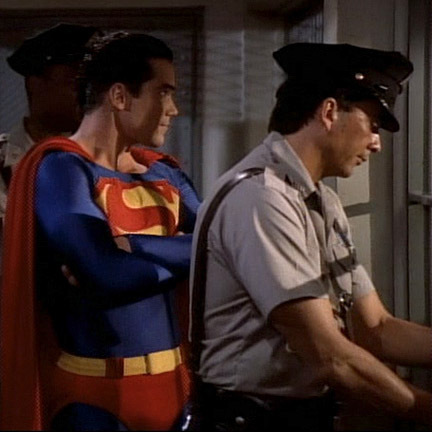 “Lois & Clark” is a live-action television series based on the characters from the Superman comic books created by Jerry Siegel and Joe Shuster. 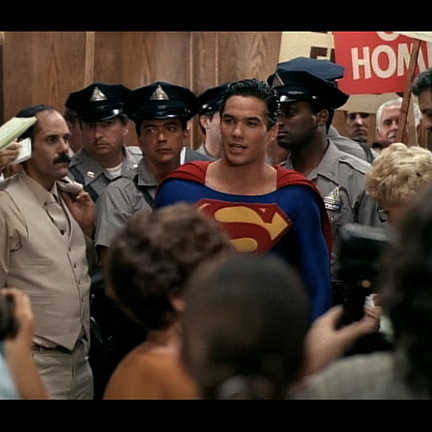 The series starred Dean Cain as “Superman/Clark Kent “and Teri Hatcher as “Lois Lane”, airing from 1993 to 1997 on the ABC network with a total of four seasons and eighty-seven episodes. 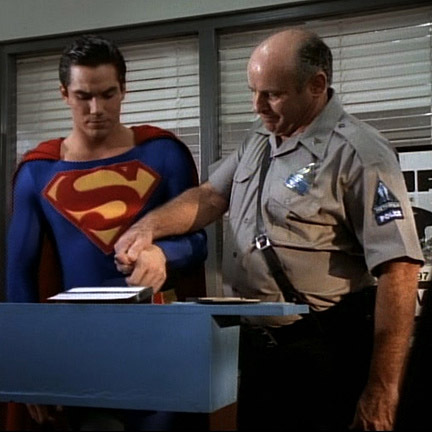 The show focused on the idea that “Superman” was the disguise of “Clark Kent”, and it followed his adventurous relationship between Lois. 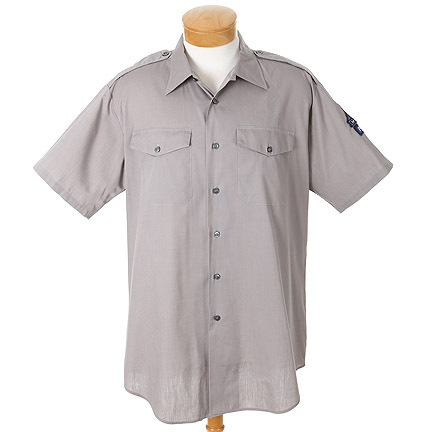 The show garnered numerous awards and nominations throughout its four-year run, including a 1993 Saturn Award for best Network Television Series, and a 1995 Emmy nomination for Outstanding Individual Achievement in Costuming for a Series.